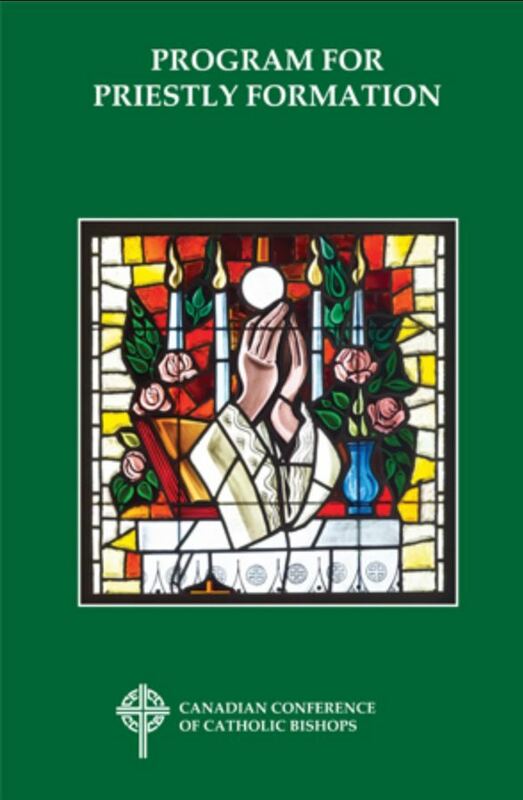 The Canadian Conference of Catholic Bishops (CCCB) has released a new edition of its document, Program for Priestly Formation (Ratio formationis sacerdotalis nationalis) for English Sector seminaries and houses of formation in Canada. This document replaces the former edition of Program of Priestly Formation published by the CCCB in 1981. The new document outlines the basic principles and guidelines for the formation of candidates to the priesthood, particularly those called to live their priestly lives as diocesan priests in English-speaking Canada. The new program has been approved by the Holy See for a period of two years, after which it will be revised to align with the 2016 publication of The Gift of the Priestly Vocation (Ratio Fundamentalis Institutionis Sacerdotalis) by the Congregation for the Clergy. Information for purchasing the document can be found at: https://esubmitit.sjpg.com/cccb/index.aspx?component=ProductDetails&id=184-951E.